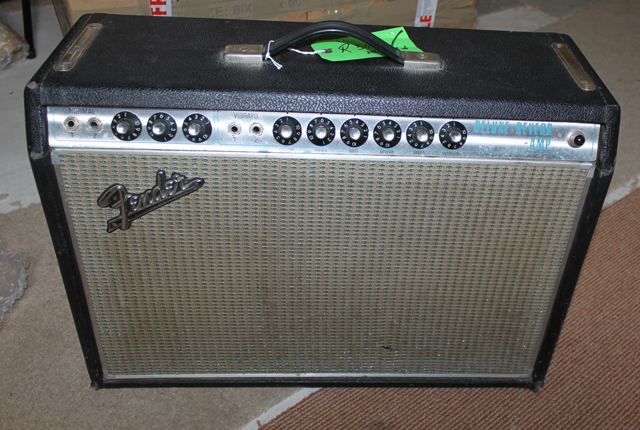 The all time classic Fender tube combo. 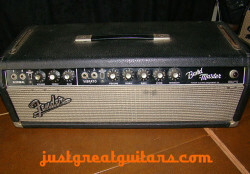 First introduced by Fender in 1963, the Deluxe Reverb amplifier rapidly became a firm favourite with guitarists worldwide and remains so to this day. Small enough for studio work, but with sufficient power for live work, these amplifiers are amongst the finest in Fender’s catalogue and for good reason. Their capability to produce wonderful clean tones and also ‘edge of breakup’ overdrive make them very versatile indeed. 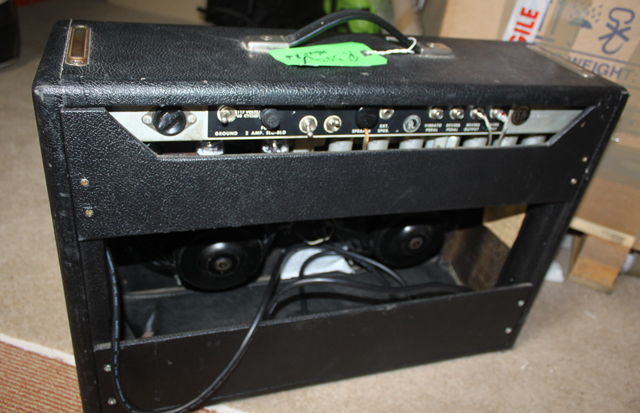 This silverface Fender Deluxe Reverb amp is in good condition and at some point in it’s history it has been baffle upgraded to hold 2 x 10″ Jenson speakers for extra dimension and more headroom. 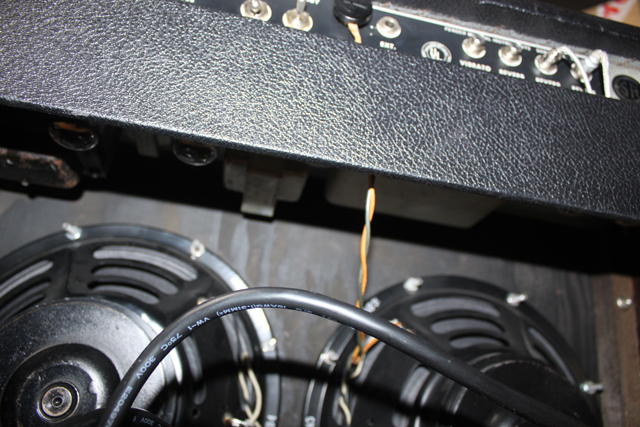 This is a speaker modification that many players made to their Deluxe Reverbs and the sonic effect is one of more focused projection and rounder tones tones especially in the high end treble frequencies. The 2 x 10 speakers also deliver a very pleasing mid-range focus which would suit everyone from rock and blues players through to the most discerning jazzer. As a quick historical note, the silver-faced Deluxe Reverb amps came into production in 1967 following the much discussed ‘blackface’ era, and really do sound just as rich and powerful as their predecessors. At lower volume settings, chords sound beautifully clean and clear with this amp (as you’d expect from a Fender tube amp) Country guitar players especially will be rushing to plug-in their Telecasters to this amp. Crank up the gain a little and you very quickly get into Keith Richards and Joe Walsh territory. The amp also responds incredibly well to pedals and you can quickly setup a wide range of guitar tones with even just a few stomp boxes. Aside from live work, the portability and sonic versatility of the Deluxe Reverb have also made it a long term favourite for studio guitarists. The Fender SF Deluxe Reverb amps are capable of a wide variety of authentic vintage guitar tones and this amp would make a wonderful addition to any studio’s amp collection. 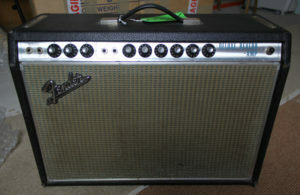 The built in (and much copied) reverb and tremolo circuits are classics of their kind and this 22watt combo amplifier not only delivers the pristine clean sounds long associated with Fender amps, but also offers up some of the finest overdrive and ‘break-up’ tones you will ever hear from a tube amplifier. 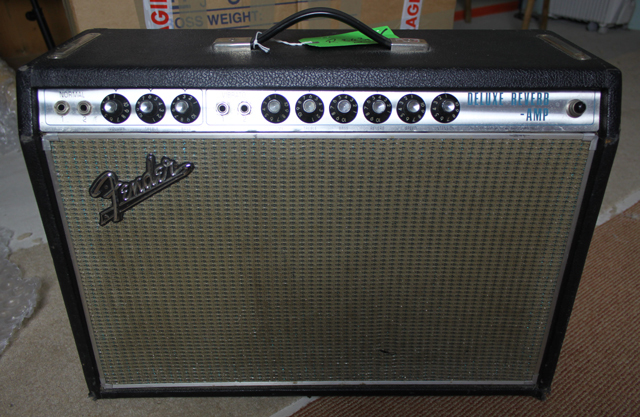 As a first choice amplifier for many guitarists seeking outstanding tone in a small package, the Fender Deluxe Reverb it is almost without equal. 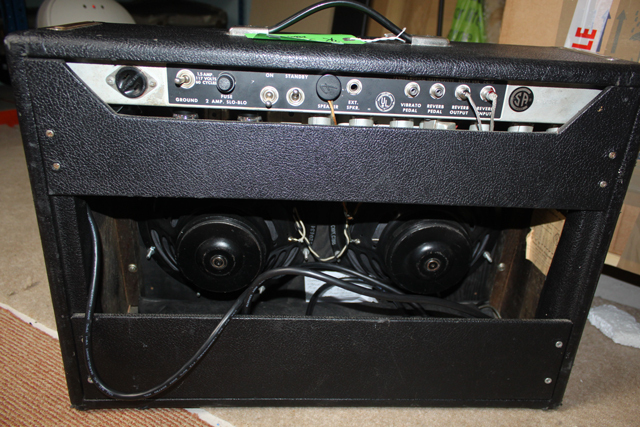 When you plug into this amp you will know immediately why it has the tonal reputation it has.